Our My City Mommy Coupon Binder is the best deal on a comprehensive and easy to use coupon binder! I had searched everywhere for a good coupon organizer and only found either flimsy accordion styles or options that were too large or complex for me. I wanted something that would store a large amount of coupons, be easy to maneuver in the store and hold all my shopping needs in one secure place. I decided to combine several ideas I had seen with my own desires for function and design my own coupon binder system! BINDER DEMONSTRATION~ Please watch the video below to see a detailed description of the standard binder. 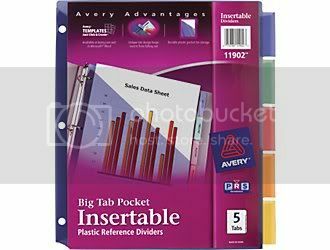 THE BINDER~ The actual binders are a full size, 2 inch 3 ring binder and are very sturdy. They zipper closed to keep everything secure and have a durable and easy to clean fabric exterior. They also have a handle, making them easy to carry! Save At Home Mommy Coupon Binders are fully customizable so they work for you. My City Mommy business cards for you to hand out to all the people that ask how you saved so much. 5 double-sided Shopping Organizer pages. Use these to plan out your shopping trips with every detail you could need. 5 double-sided Menu Planner pages. Use these to plan your menus for each week. 2 double-sided Price Tracker sheets. Use these to determine what are good, great and stock up prices for the items that your family uses according to your location and specific stores. A sheet of adhesive labels. Use these for your pocket dividers and coupon category pages with over 40 preprinted labels and more blank ones for you to customize for a total of 80. 1 sturdy plastic 3 ring pocket. It velcros closed to keep unfiled or unclipped coupons secure. Download and print copies of many of the national stores coupon policies for free HERE! ORDERING~ To order, first choose your standard binder. There are three different options for colors as well as 3 different options for the types of coupon pages included. You can also choose to order “Everything But The Binder” to get everything listed above except for the actual binder. You can then add more of your favorites to your binder using the “Add to Cart” buttons below. Please carefully review your order before checking out. *Please note- Unfortunately, due to the large amount of requests, the safety of my family and the laws for running home businesses, I am unable to offer pick up for local residents. Click the “View Cart” button below to double check your order and check out. *Larger quantities can be ordered by updating the quantity in your shopping cart before checking out. Perfect to fit almost all sizes of coupons. Perfect for those who like to keep all of their coupons in their binder, but won’t fit larger coupons unless they are folded. Use these to keep up with the prices you were able to get your favorite items for. Helps know what stock up prices are in your area. Organize your shopping trips so they will go smoothly and quickly. Make your weekly menus from your stockpile and sale items and always have a plan. Perfect for keeping unclipped coupons or coupon booklets contained. Use these to separate your coupon pages into categories. PROCESSING & SHIPPING INFORMATION~ Please allow 2-3 business days processing before shipment. 2-9 Day Shipping rates are available based on order weight, starting at $7.00 for the standard binder. Priority 2-3 Day Flat Rate Shipping of $12.00 each for full coupon binders. HELP AND DISCLOSURE~ Please email me at couponbinder@mycitymommy.com if you have any problems or questions during ordering. I am not able to issue refunds for errors in ordering so please carefully check your order. I stand behind my product and will promptly fix any errors on my part. I will also replace any defective binders within 4 weeks of shipment date, provided you return the defective binder to me at my cost first. After that, I can no longer be responsible for the craftsmanship of the actual binder since I did not manufacture it myself. *If you are interested in becoming a My City Mommy Coupon Binder affiliate, you can get all the details HERE. “When I received the binder for a review on my blog, I decided to organize the Coupon Binder and actually use it for a shopping trip – just to see if it really helped. I’ll be honest – I thought my system was already pretty good and I was very skeptical of not only a new coupon system, but also carrying a binder to the store with me. Wow…did I change my mind quickly! Let me just say the Coupon Binder is AMAZING! Everything is there at the flip of a page. It’s easy to organize and fits in the cart perfectly. Using the binder for just one shopping trip saved me a lot more than usual and made shopping so much faster. My husband even asked me how I finished so quickly. I told him I had everything organized and I knew exactly what I was buying at each store. I am hooked on the Coupon Binder and will never shop without it! If you want to save more money and make shopping easier and more organized, I HIGHLY recommend this product!” Testimony by Shelley Galbreath, freelance writer and photographer; author, Discouraged Moms’ Devotions to Go. Visit Shelley’s blog at www.2frazzled2bedazzled.com. It’s true, though. Having the ads and coupons organized, knowing what I’m there (at the store) for specifically, and having a distinct plan have been HUGE helps to me. I’m very glad my husband stumbled onto the Californian’s article about Kerri.